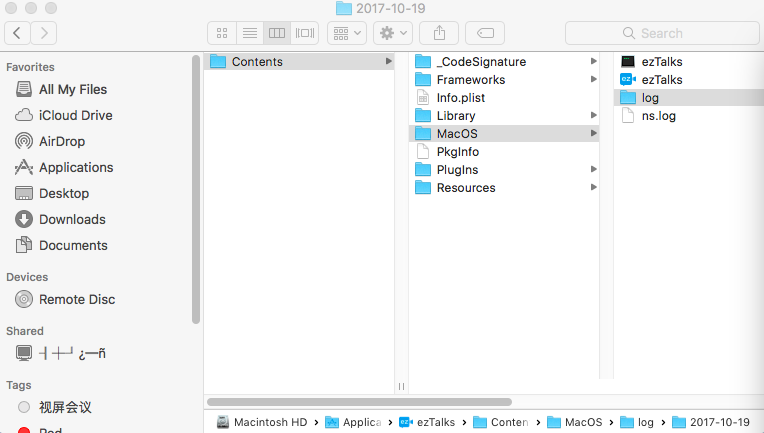 How to do troubleshooting if starting a meeting fails on a Mac computer? Get to know how to do troubleshooting if you fail to start a meeting on a mac computer. If you have successfully logged in the ezTalks app, but fail to start a meeting, please refer to the steps below to do troubleshooting. Step 1 Check if you can telnet the port 8888. If it is successful, please move to the next step. If not, please contact ezTalks customer support. Step 2. Check if you can telnet the port 1089. Step 3 Send the system log of the app to ezTalks support team. If you have gone through all the steps above, but the problem still exists. Please find the system log of the app on that very day and send it to support@eztalks.com.